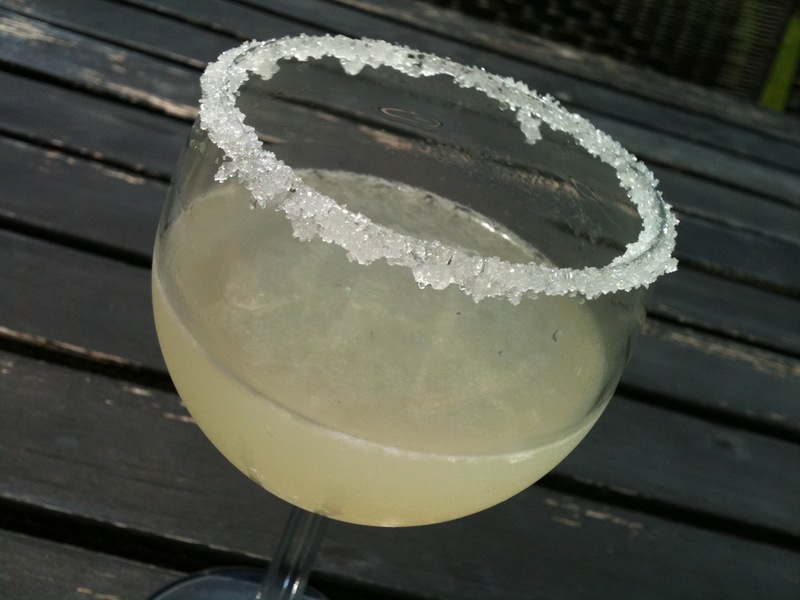 Just in time for the holiday weekend - margaritas! We've made a couple of different kinds and both were excellent! They make a great accompaniment for a backyard bbq or fiesta. I usually like them on the rocks but whatever you prefer. Combine 1 1/2 tablespoons granulated sugar and kosher salt in a dish. Cut lime into 9 wedges; rub rims of 8 glasses with 1 lime wedge. Dip rims of glasses in salt mixture. Combine water and 1/2 cup sugar in a microwave-safe glass measuring cup. Microwave at HIGH 2 1/2 minutes, stirring to dissolve sugar; cool. 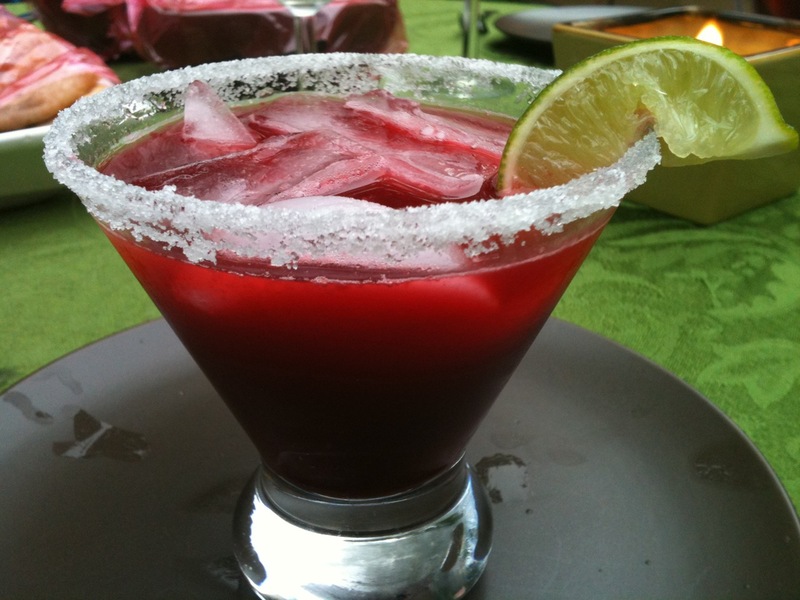 Combine syrup, tequila, Triple Sec, fresh lime juice, and blackberries in a blender; process until smooth. Strain mixture through a cheesecloth-lined sieve over a pitcher; discard solids. Serve over ice. Garnish with remaining lime wedges. Fun! Looking forward to trying these. Ooo these look fantastic and perfect for summer time! I really love your blog and found it through twitter, glad to be a new follower! Feel free to stop by my blog and check out the giveaway going on :) Have a fabulous 4th of July weekend!